In light of the controversies currently surrounding the work of Fr. Nicholas Gruner, I believe it is my obligation to speak of what I know concerning the mind of Fr. Gruner. All of what I write here was either told to me by Fr. Gruner himself on numerous occasions or told me by my dear friend John Vennari in private conversations, either over the phone or face to face. For all of those involved in the controversy, we must remember what Aristotle said when confronted with a fundamental disagreement with his teacher, mentor, and colleague Plato, "Truth is more important than friendship"; and what are we all about but truth. 1) Our Lady's warning that there would be an "evil Council." 2) Our Lady's warning that the Mass was "not to be changed." 3) Our Lady's warning that "one third of the stars shall be swept from the heavens, by tail of the Devil": Fr. Gruner interpreted this as indicating that 1/3 of the priests and bishops would serve Satan directly. 4) The Apostasy in the Church "would come from the very top," in other words, from at least one or more men who were designated as being "the pope." Cardinal Ciappi --- who Fr. Gruner continually cited --- was famous for indicating that this was the Third Secret, which he had read himself. In other words, Fr. Gruner saw the Third Secret as being a complete vindication of the traditionalist movement. Obviously, in Fr. Gruner's understanding, the Third Secret was a condemnation of Vatican II, the New Mass, many of the clergy of the post-conciliar Church, and an indication that a man or men designated as pope would be the ones actually pushing the apostasy in the Church. What was Our Lady warning us against? The New Doctrine, the New Mass, the New Priesthood, and the New Popes. How else can we possibly interpret what he said about the Third Secret? The whole purpose of the Third Secret was to warn people against the Novus Ordo religion. This is clearly what Fr. Gruner intended to convey to me. With regard to the papacy, however, we must consider this. Fr. Gruner came to believe that Francis I was not a true pope, but that Josef Ratzinger/Benedict XVI had retained the office. So it would have to be Benedict that would consecrate Russia to the Immaculate Heart and not Francis. John Vennari told me this on two occasions in private after the death of Fr. Gruner. At the time I had not know that this was the case and was surprised. John also said that Father was making statements in this regard during his speeches at his conferences at least by late 2014. John was not pleased by this turn of events at all, not at all. During one of the occasions in which John Vennari told me about this new view of Fr. Gruner on the claims of Francis, he also told me about Fr. Gruner's plans for the future of his organization. John had just found out about these plans and was not at all happy about these plans. According to John, who told me this almost exactly 2 years ago, Fr. Gruner had kept these plans from him, since he knew that John would not approve. Apparently Fr. Gruner had wanted Andrew Cesanek to be his successor, but only after Andy had gone over to Ireland to be trained as a priest by Fr. Paul Kramer and then ordained by Bishop Richard Williamson. John thought that this would be a disaster for the Fatima Center. There is no doubt however that John understood this to be Fr. Gruner's plan. The entire story totally surprised me since I had no idea that this was the case. I hope that the truth of this situation can clarify things. I think that many might not like what I say here, but since Fr. Gruner and John have left us and this is the 100th anniversary of the Miracle of Fatima --- I thought that the truth must be told. I can't wait to hear what Salza and Siscoe have to say about this. Is Salza going to turn on Fr. Gruner now? Wouldn't surprise me a bit. It's understandable how Dr. Chojnowski would be reluctant to report this. But seeing as how two of the parties involved have already died, it's better this comes to light before the third party passes on. Where does this leave various others who remain alive? For in order for Benedict XVI to still be the true Pope, his consecration as a bishop would have to be valid. The OP rejects this aspect of B16. another trad-Wow! this is stunning. I agree with John Vennari's apprehension as this would have been disastrous for the Fatima Center. I don't understand people viewing Pope Benedict as any kind of savior. Pope Benedict came across as the gentle scholar afraid to take a stand while Pope Francis is the bold tyrant. But Pope Benedict was a modernist who placed so many of the really bad Cardinals in place. Personally, I think Pope Benedict and Pope Francis play good cop vs. bad cop and the few good things from Pope Benedict (such as S.P.) can be removed if necessary by Pope Francis. Our Lady of Fatima pray for us! Do you think foul play was involved in Fr. Gruner's sudden and unexpected death? In John coming down with Cancer? So why didn't Andy go to Ireland and get trained by Fr. Kramer and ordained by Bishop Williamson? Thank you for your article Peter. I am a long time subscriber to the Fatima Crusader, CFN, Remnant and Angelus. I live in Australia though I was born and raised in the US, and I have not been able to afford to attend the Fatima conferences but I've listened to some of your talks online and read some of your articles. I am very grateful to know the Truth. I have never believed Jorge was a true Pope by God's grace. Being a time when it is not a popular belief, I am so grateful to have support from like minded people. It is a blessing. Do you have a mailing list via email I can receive your posts on? May God bless you in your good work for our Lord and our Lady. You and yours are in my prayers. Someone posted this information: "Fr. Paul Kramer states on his own page that this is 99% accurate with the exception that he was only to make an assessment of Andrew Cesanek (after being under Fr. Gruner's direction for many years); not to "train" him for the priesthood. Also that Bishop Williamson wasn't the only ordaining bishop being considered." Mr Chojnowski, given those facts what are we to make of it? I've read about bishop Williamson, now consigned to the wilderness fringe of the Church. The situation seems untenable. I will pray as always that Our Lady get us out of this fix, and soon! Yesterday on his RadTrad Thomist blog, Dr. Peter Chojnowski shared some of his firsthand knowledge concerning the inner workings of the Fatima Center in an article entitled, What Fr. Gruner Actually Thought and Wanted. All of what I write here was either told to me by Fr. Gruner himself on numerous occasions or told me by my dear friend John Vennari in private conversations, either over the phone or face to face. For all of those involved in the controversy, we must remember what Aristotle said when confronted with a fundamental disagreement with his teacher, mentor, and colleague Plato, “Truth is more important than friendship”; and what are we all about but truth. 3) Our Lady’s warning that “one third of the stars shall be swept from the heavens, by tail of the Devil”: Fr. Gruner interpreted this as indicating that 1/3 of the priests and bishops would serve Satan directly. 4) The Apostasy in the Church “would come from the very top,” in other words, from at least one or more men who were designated as being “the pope.” Cardinal Ciappi — who Fr. Gruner continually cited — was famous for indicating that this was the Third Secret, which he had read himself. In other words, Fr. Gruner saw the Third Secret as being a complete vindication of the traditionalist movement. Obviously, in Fr. Gruner’s understanding, the Third Secret was a condemnation of Vatican II, the New Mass, many of the clergy of the post-conciliar Church, and an indication that a man or men designated as pope would be the ones actually pushing the apostasy in the Church. What was Our Lady warning us against? The New Doctrine, the New Mass, the New Priesthood, and the New Popes. Much more must it be said that holding one’s tongue while influential churchmen-of-the-council attempt to wed the message of Fatima to “the New Doctrine, the New Mass, the New Priesthood, and the New Popes” are dishonoring Our Lord and Our Lady! With regard to the papacy, however, we must consider this. Fr. Gruner came to believe that Francis I was not a true pope, but that Josef Ratzinger/Benedict XVI had retained the office. So it would have to be Benedict that would consecrate Russia to the Immaculate Heart and not Francis. I made mention of this fact back in June for the benefit of those who consider questions concerning the “resignation” of Benedict XVI the exclusive franchise of conspiracy theorists and kooks. As I suggested at the time, while some may certainly disagree with my own sense that the resignation has all the hallmarks of invalidity, dismissing that opinion as sheer nonsense also means dismissing the concerns of men far brighter and holier than most of us combined; Fr. Nicholas Gruner among them. I am especially grateful to Dr. Chojnowski for providing confirmation concerning Fr. Gruner’s assessment of this unprecedented situation, in particular for a reason that I have yet to share publicly. As I prepared to write the aforementioned post, I went to the Fatima Center’s Youtube channel where I had previously watched a video wherein Fr. Gruner publicly called into question the validity of Benedict’s resignation, and likewise the pontificate of Francis. The setting was Deerfield, IL; the date, 14 November 2014. I was present for Fr. Gruner’s talk, but I wanted to post the video for the benefit of those who may have doubted the accuracy of my memory. Strangely, however, upon returning to the Fatima Center’s list of videos taken at that conference, I discovered that the video I was seeking had apparently (as you may see for yourself) been made “private;” i.e., it was no longer available for public viewing. I reached out to one of my friends at the Fatima Center for an explanation, but never received an answer as to why Fr. Gruner’s talk was no longer available. One may have noticed that Fr. Gruner left precious little doubt that, in the celebration of Holy Mass, he did not pray for Francis as if he were a true pope! Is the current brain trust of the Fatima Center embarrassed by this? 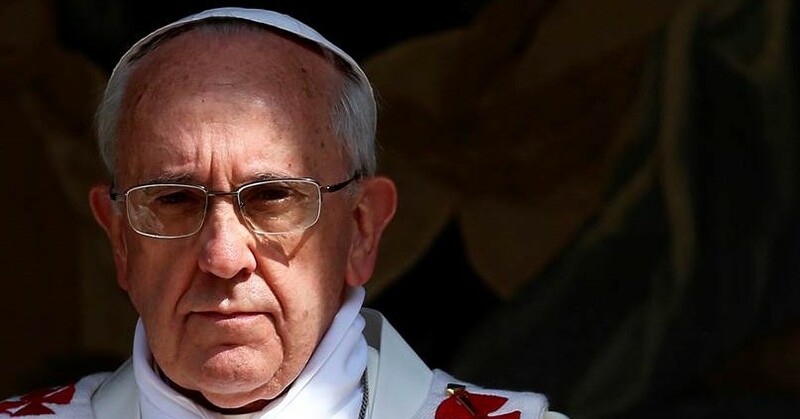 Are they concerned that Father’s well-founded doubts concerning the so-called Bergoglian “pontificate” may scare off potential new supporters from among the ranks of the neo-conservatives? I cannot say for certain, but what I do know is that even though, according to Dr. Chojnowski, “John Vennari was not pleased by [Fr. Gruner’s position on the papacy] at all, not at all,” the decision to remove from public viewing the video under discussion didn’t take place until after John had passed. Again, make of that what you will. For those of you who have yet to read Dr. Chojnowski’s blog post directly, I would encourage you to do so. We need to be careful to always frame our views in terms of faithfulness to Our Lord, Our Lady and tradition; not in terms of what either Fr. Gruner or John Vennari may have done; what they may have believed, or what they may have wanted. Our task is far simpler than that; we need only speak and defend the truth, while renouncing error wherever it may arise. Our tenacity in telling the whole truth at akaCatholic continues to bear temporal costs. With fewer and fewer like-minded outlets left, we genuinely need your support. Thank you in advance! Could it be that God wants the secret of Fatima to remain a secret? Why do you have to know? What if the Third Secret contains a prophesy that Sister Lucia herself would become suppressed and hidden after 1960, while an impostor would assume her place for a while during which time this impostor would falsify the Message of Fatima? If that, or some clue of that is contained in the Third Secret, that alone could be the reason it is not revealed. That alone would explain what is meant that in 1960 the Secret would become clearer. And that alone would reveal to the whole world that the Vatican officials have deceived us for several decades, since Vatican II.